Hello and happy Monday friends! 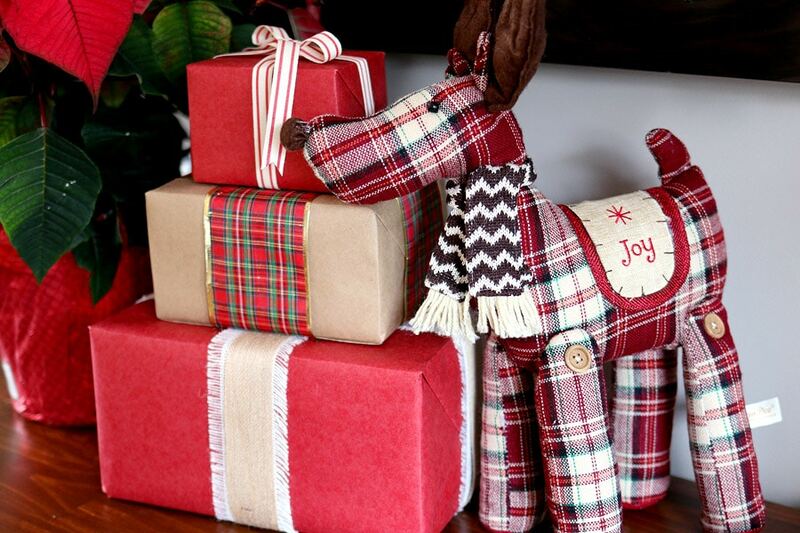 Guess what time it is… it’s DIY Workshop time at The Home Depot! 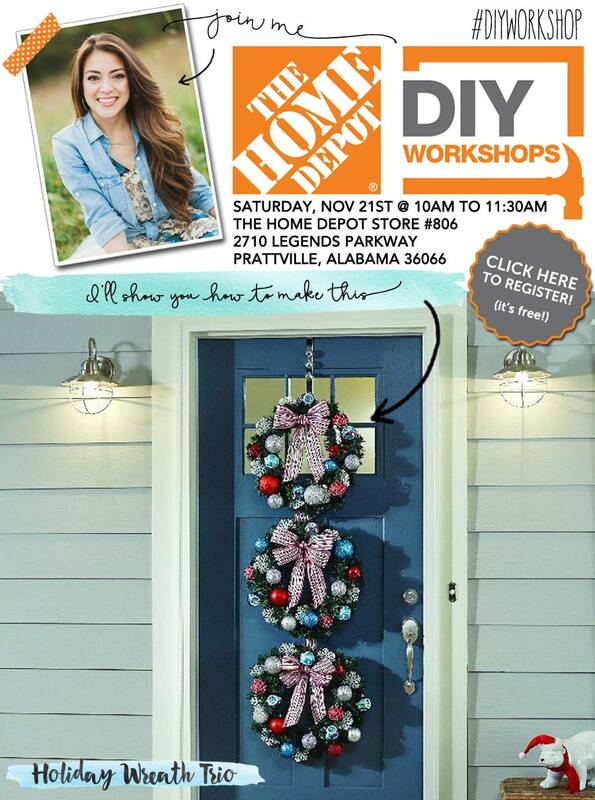 This Saturday I’ll be co-hosting the DIY Workshop in the Prattville, Alabama store. 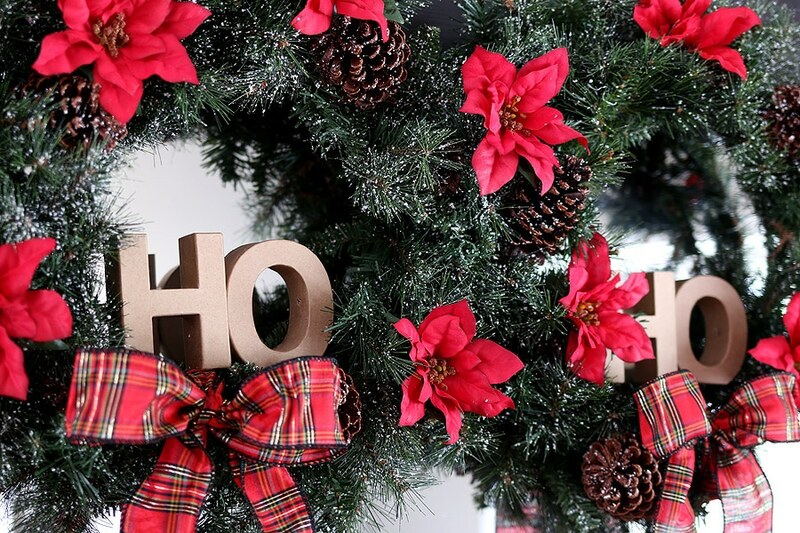 We’re decking the halls DIY-style, making this festive holiday wreath trio. 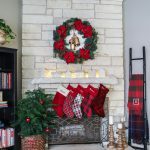 The holiday season is officially upon us, so that means we can finally bust out the Christmas decorations without getting the stink eye from our neighbors and/or spouses. Woohoo! So besides listening to Christmas music, what are you guys doing this weekend? 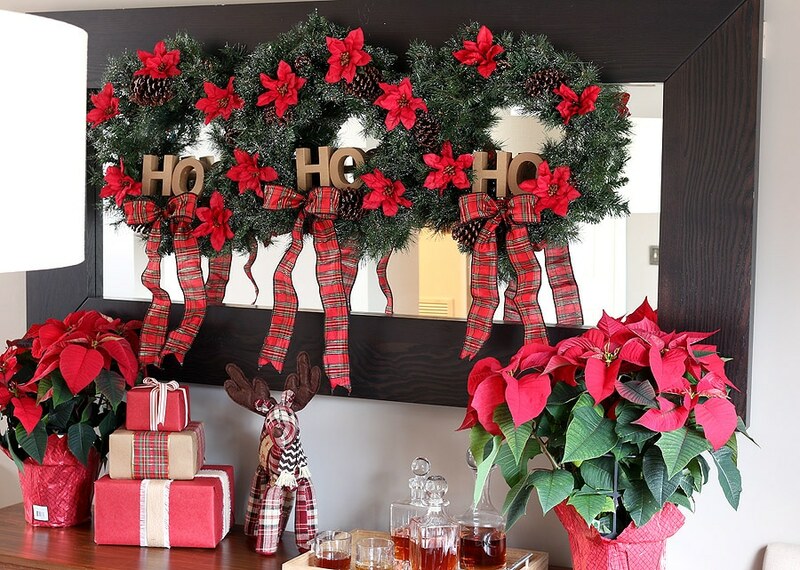 Do you want to kick off the holiday decorating by making this hanging wreath trio with me? If you’re not in the Montgomery/Prattville area, worry not! 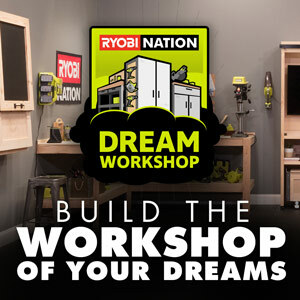 These Workshops are happening all over the country. 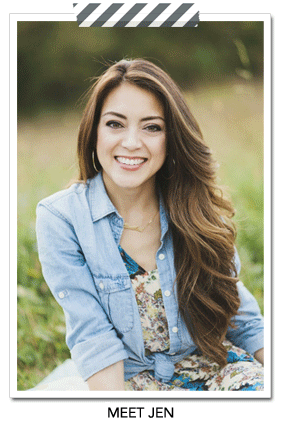 Click here and enter your zip code to register at your local Home Depot store. 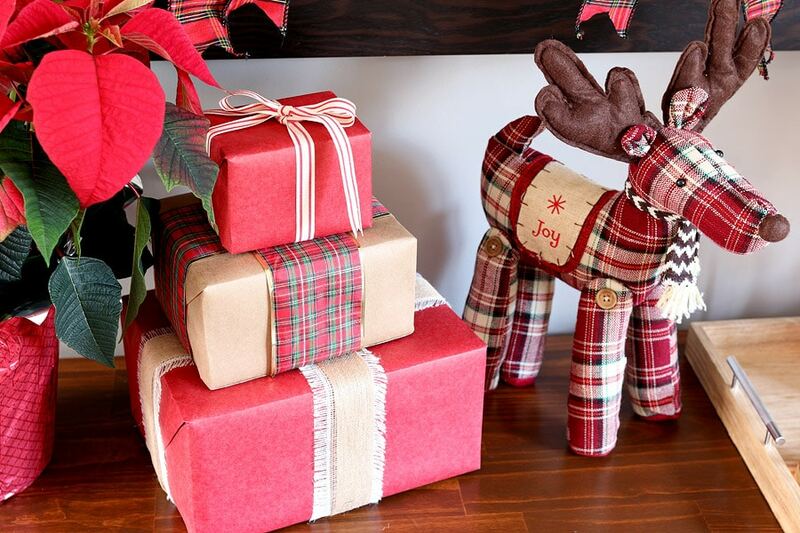 We’re hosting Thanksgiving dinner this year, so I decided to deck the dining room in festive red, green, and plaid. Hanging a trio of wreaths filled the space above our bar cabinet perfectly. I built that bar cabinet a few years ago, while I was 9 months pregnant with my son. In fact, I was on a Home Depot run for the final piece of plywood (for the back panel) just a few hours before my son was born! Crazy, right? I really love this piece and the (birth) story behind it. 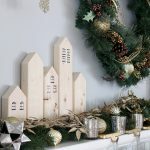 Here are the plans and tutorial on how to build my Restoration Hardware-inspired DIY printmaker’s sideboard. 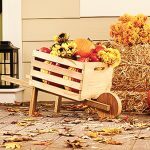 The weather is finally cooling off here in Alabama so I’ve been cooking comfort food all week long: chili, pot roasts, beef stews… I just love this season. I decided to go the traditional route this year as opposed to last year’s modern black, white, gold, and glam Christmas. Imagine you were holed up in a cabin on the side of a snowy mountain with your loved ones snuggled up close with a cup of hot cocoa (or two fingers of Kentucky bourbon, your choice) in front of a crackling fire… ahhh, pure heaven. 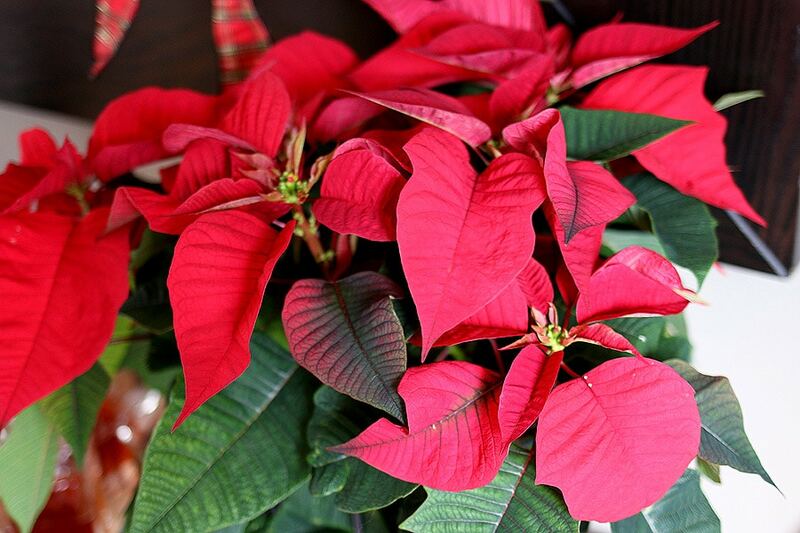 With this year’s decorations, I’m striving to invoke that warm, comfortable, cozy feeling. 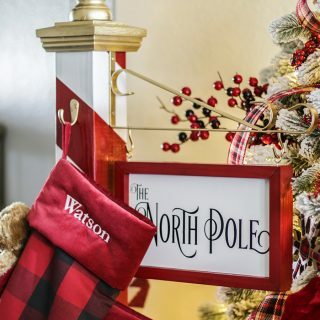 All of the materials for this project can be purchased from the Ho-Ho-Home Depot (sorry, I couldn’t resist), except for the cardboard craft letters. I had those on-hand in my craft stash. 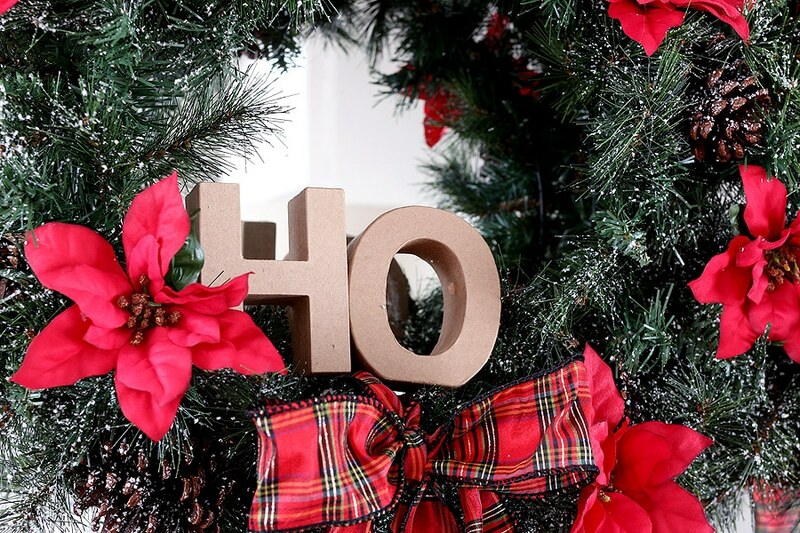 I bought three plain wreaths and used spray snow to lightly flock the boughs. Then I hot-glued the pinecones and poinsettias on, tied a plaid ribbon around the base, then attached the three wreaths together with a fine-gauge wire. Easy as apple pie. 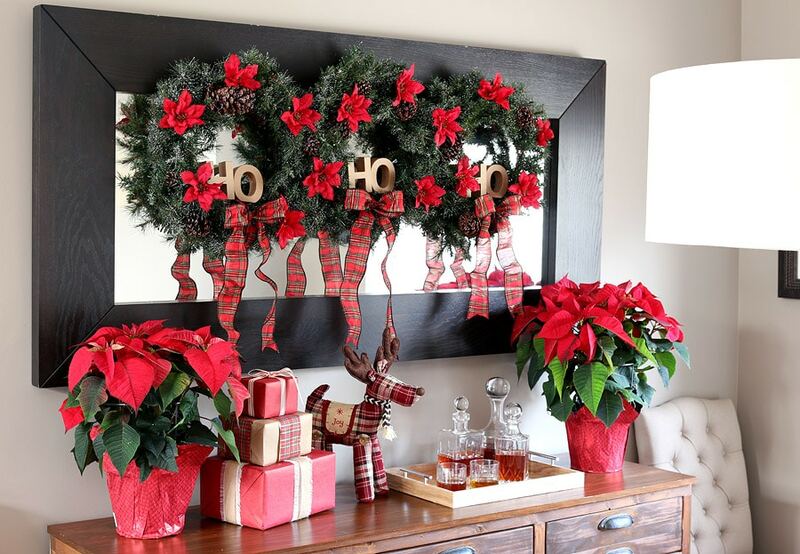 I hung the wreath trio on the mirror with 3M Command Hooks. How about you? 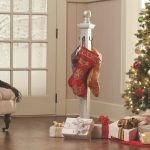 When do you start decorating for Christmas? 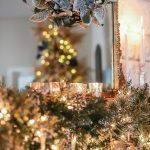 Are you the ‘Christmas-in-July’ kind of person or do you wait for Halloween and Thanksgiving to have their time in the sun before you deck the halls? I’m definitely in the “sooner is better” camp because it’s the most wonderful time of the year. 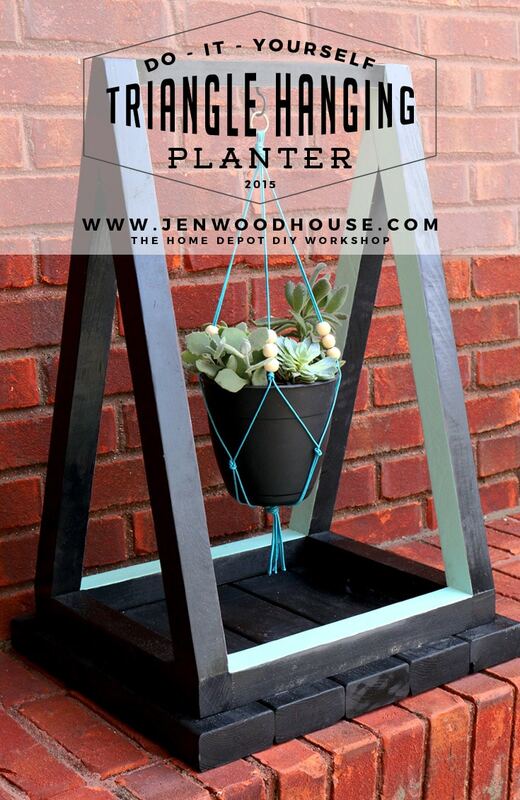 Be sure to check your local Home Depot for details on this month’s DIY Workshop and click HERE to register. Alabama friends, I’ll see you this Saturday! 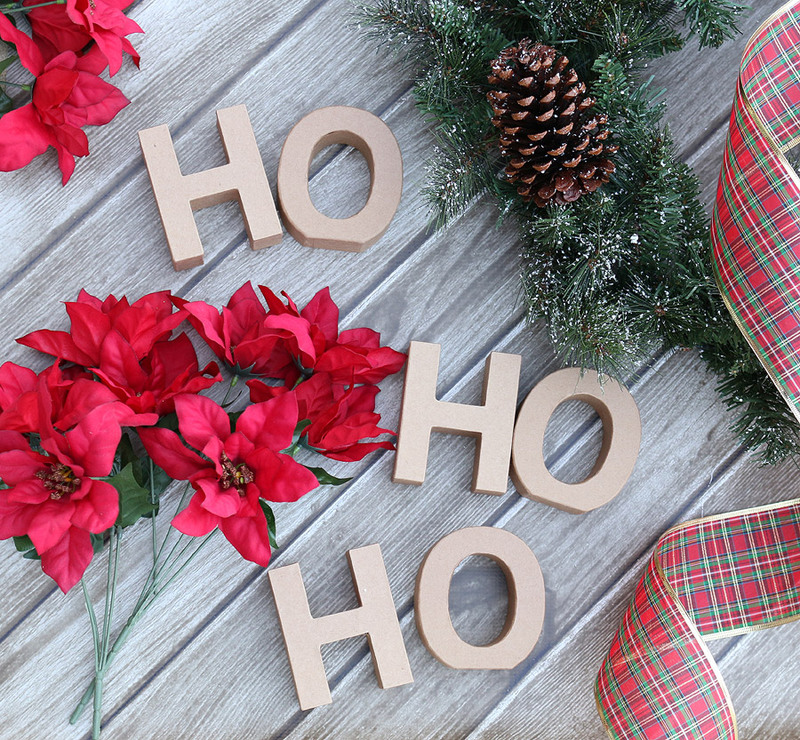 Thanks for reading, have a holly jolly holiday season! 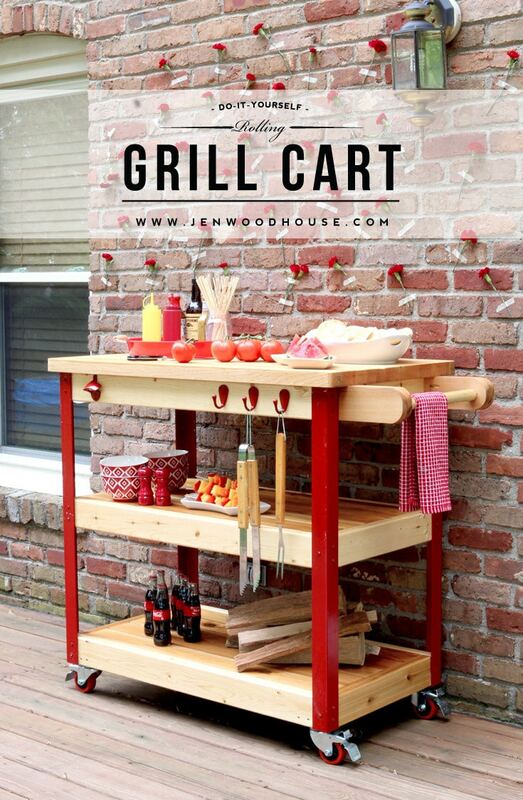 If you missed the previous DIY Workshops, we built a rolling grill cart, vertical planter, and hanging plant stand. 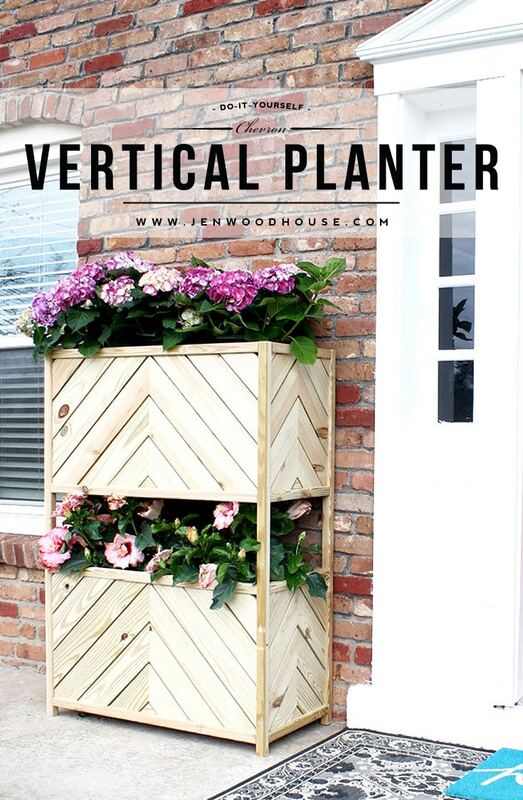 Click on the images below for the plans and tutorials. Oh my goodness Jen your wreaths and vinette are so cute!!! Thanks Amy! 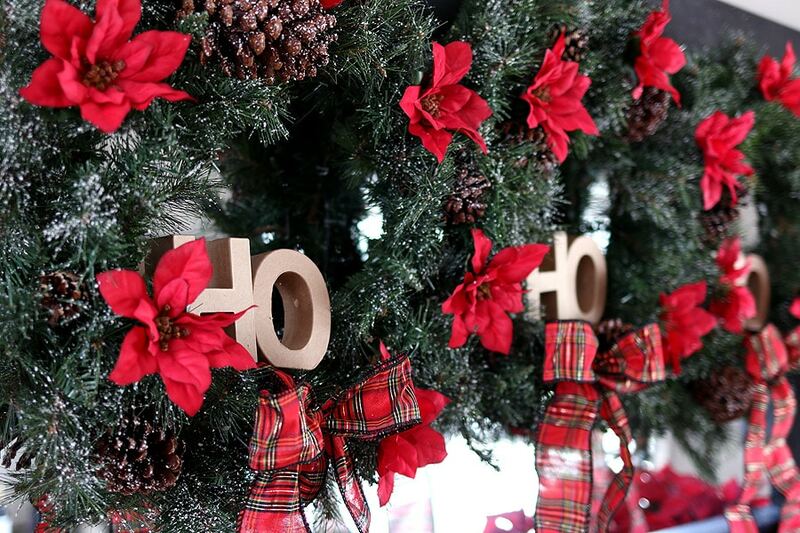 I loved your wreath trio too – gotta love those wood cutout letters! So fun. Thanks Katrina! Have fun this weekend! 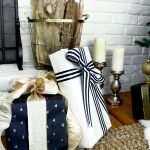 I’m a fan of rustic cabin Christmas. And that sideboard. (Adding that to the to-do list!) Have fun on Saturday! Yes! The never-ending To-Do list! Thanks Michelle! 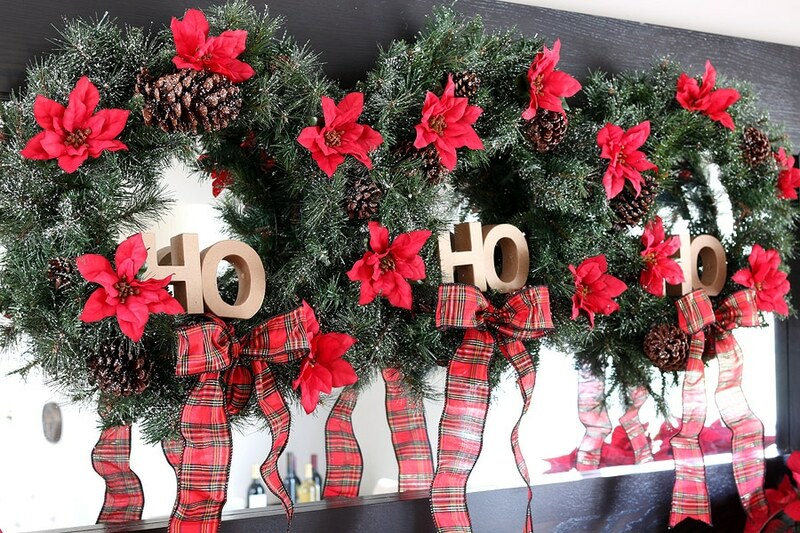 Your wreaths look beautiful, Jen! So festive 🙂 Thanks for asking me to join along – so much fun! Thanks so much for joining in, Chelsea! I love that we get to Christmas-craft together! I love this! Beautiful vignette and such a great use of the materials! Thanks Amber! I loved your wreath trio too! Unfortunately I’m not in your market, but how do the workshops work? 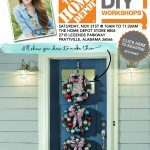 You register (for free), learn how to make the wreath and then if you are interested in buying supplies to make one at home you can? Yes, Betsy, you can click on the link and enter your zip code to find a workshop in your area, then register to attend (it’s free to attend!). The workshops are usually demo only, but some stores may choose to do a “make-and-take” project. It varies, so be sure to check with your local store for details. 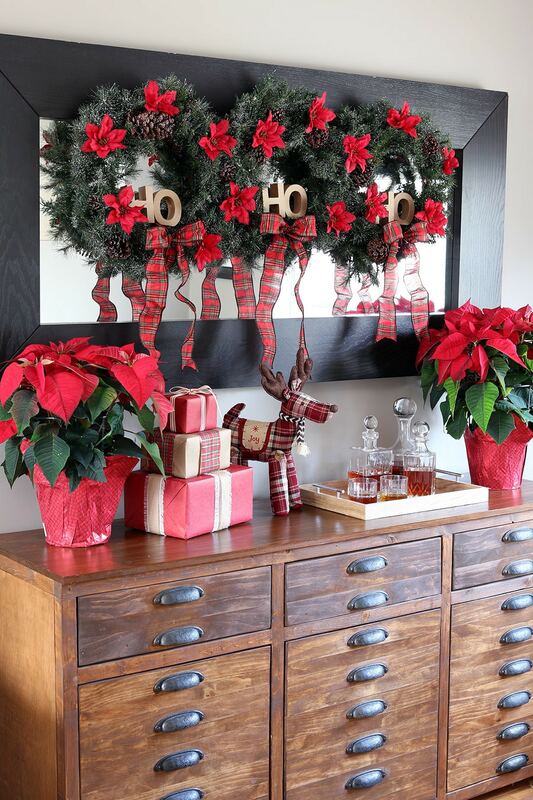 Love the classic plaid and the way you hung the wreaths horizontally. So cute!